The Format | East Coast Windsurfing Festival L.I. 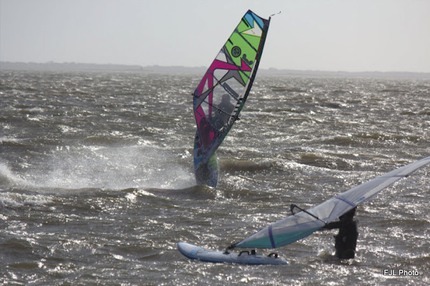 The East Coast Windsurfing Festival is both a freestyle and racing event all rolled up into one. The main idea behind the ECWF is to have fun! So getting people on the water is what we want to do. The ability level of people competing at the ECWF can range from anyone in thier first year of windsurfing all the way up to some of the top PWA pros. 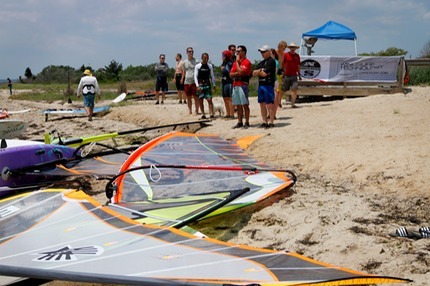 All in all, the ECWF brings together hundreds of East Coast Windsurfers to the same beach at the same time. Just having everyone in one place is fun enough. Throw in some bouys, and a laid back competition and we've got a sure fire way to have fun in any given amount of wind.